In an effort to help drive health and wellness for our team members, Santa Ana Chamber of Commerce (Company Members & their Employees) is pleased to announce its new partnership with 24 Hour Fitness! Over the past 30 years, 24 Hour Fitness, has inspired millions of members to live healthier, happier lives. Today, they’re the club of choice for nearly 4 million members across 13 states. With 400+ locations open 24/7, their clubs have something for everyone to enjoy. 24 Hour Fitness inspires members to Do More each day with unmatched amenities and programs, for inside our clubs and out. From premium cardio and strength equipment, to pool, sauna, and steam room, basketball, all-inclusive studio and cycling classes, certified personal trainers and on demand virtual classes, 24 Hour Fitness has what you need to meet your fitness goals. 2. Enter the CORP ID # 112607. Interested in a free 3-day pass or would like to receive further information? Please contact our dedicated Account Manager, Samantha Bertrand at 760-918-4417 or sbertrand@24hourfit.com. AAA is offering Santa Ana Chamber members and their employees a $20 discount on a new membership! 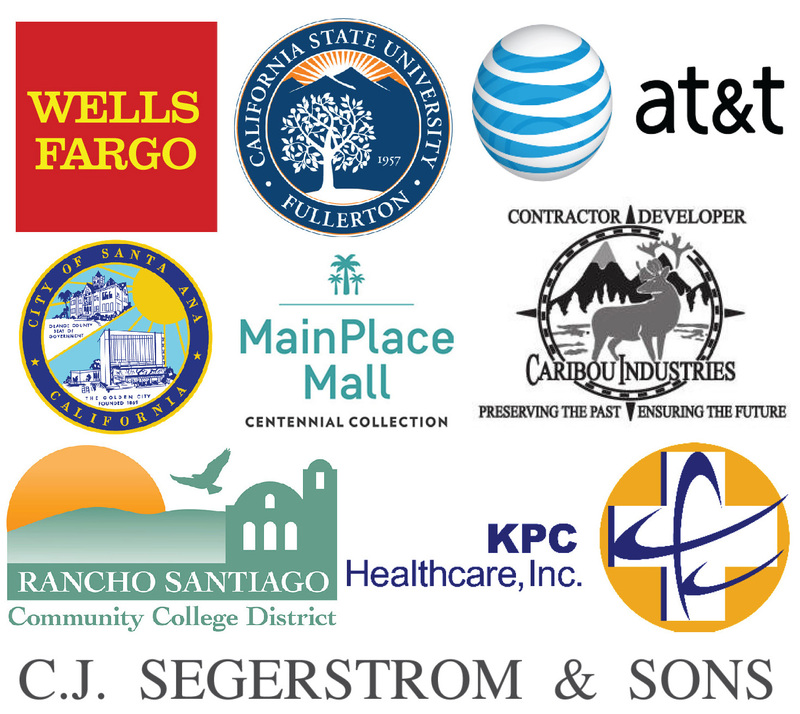 Group Membership Rates are also available for our Santa Ana Chamber members who would like to provide this as a benefit for their employees or customers. Other Services: Member Discounts for Hotels, Attractions, Dining, Shopping, Auto Repair and More! Certificates of Origin are documents that verify the country in which products are produced. The origin of the merchandise can be certified by the Santa Ana Chamber of Commerce and a Certificate of Origin can be issued. There is no cost to Chamber members, while non-members pay a fee of $75 per certificate. * Quality service in planning all travel worldwide. * Most current specials for Chamber members, family and friends. * All-inclusive programs in cruising, train trips, land trips, special destinations. * Special events including weddings / business travel. Through Concordia University Irvine’s Smart Alliance Program, Santa Ana Chamber of Commerce members receive a 10% tuition discount when they enroll in one of Concordia University Irvine's Graduate or School for Professional Studies (SPS) undergraduate programs. At Concordia University Irvine--a U.S. News Best Regional University in the West--we help you develop your gifts so that you can achieve your professional goals. You will not only earn a degree, you'll gain marketable skills and establish a professional network to propel your career forward. In addition, our undergraduate and graduate programs offer you the flexibility to fit learning into your life. You will have the flexibility to do all coursework anywhere you power up your tablet or laptop. You will have blended instruction delivery options that allow you to complete work fully online while connecting in person for specific class sessions on our beautiful campus in Irvine. All Santa Ana Chamber of Commerce Businesses, Employees and Family members will be able to purchase “New” Chevrolet vehicle(s) at, or below GM Supplier Pricing with very few exceptions. Please contact us for exceptions. All eligible buyers will receive the personal attention of the Fleet Sales Team who will make the process fast and enjoyable. In some cases, vehicles can be delivered to the Purchasers Business, or residence. All Chamber of Commerce Businesses and their employees and Family members will be able to purchase any “Pre-owned” vehicle at $500 below our lowest advertised price. Contacts for this Auto Buying program are Mike Benning, Junior Gonzalez and Brian Hamlin. All Santa Ana Chamber Members and their Family and Friends will be able to purchase our LegalShield and IDShield Plans and receive up to a 23% discount on most of our plans. We help Small Business Owners, their Families and Employees “Worry Less, Live Longer”. Committed to Community and Business Development, Microsoft Stores feature a fully equipped theater with a 103” touch screen presenter PC, sound system, wireless mic, and seating 30+. Set within an interactive high tech environment, where we encourage public play, networking and educational opportunities for all. This environment allows for Community and Business Partners to conduct public or private workshops, presentations, and other events on various community, business and educational topics by leveraging our technology, products, and services to deliver their message. Offered to members for complimentary use, please contact Community Development at mrs0007cds@microsoft.com to schedule your next meeting, workshop, networking or special event! Complimentary Answer Desk Services – Schedule a face-to-face session with one of our expert associates for technical support. Whether you’re looking for help with virus removal, software support or performance tune-ups we have experts to help you in-store. Personal Shopping, our Microsoft experts are here to help you get the most out of your new PC, software, Windows Phone or Xbox 360 for you and your business. Learn with us! Microsoft offers complimentary group workshops and paid personal training on topics such as Bing Advertisement, Office 2013, Windows 8, or one of your choice! FREE Virus Removal, PC Tune-ups, Standard Diagnosis, Advanced Software Repair. 72-96 hour turnaround time. Save an average of 15% to 25% on your total annual expenditures for office supplies, cleaning supplies, furniture, snacks, coffees…etc.. using our Office Depot Program or Office Zilla program. If you spend, $2,000 on office supplies per year and save 20%, on average you will save $400! Click here to view Office Depot Member Benefits. Click here to view OfficeZilla Member Benefits. The Paul Merage School of Business at UC Irvine is offering a special benefit for Santa Ana Chamber of Commerce members. The Office of Executive Education at the Merage School is dedicated to ongoing professional development and relevant customized training for small and large organizations. Our membership benefit offers flexible courses, preferred pricing and a dedicated coordinator to schedule certificate and training programs year round for executives, managers and teams. As the top business school in Orange County - also ranked among the best in the U.S. - we want to provide your organization an opportunity to leverage knowledge from our world renowned faculty and resources. We will work with you to help identify your most at-risk business practices and develop a plan to elevate employee skills and effective decision-making. For more information, contact the Associate Director Mollee Elniski at 949-824-2887 or mollee.elniski@uci.edu to start your needs-based analysis today! Our degree programs for working adults have accelerated terms and evening classes. “Your Story Matters” drives the unique education plans we develop for each student. Student Success Coordinators help integrate work, family life, and school so that you develop skills and meet your career goals in a timely and cost-effective manner. Kristi Starkey, Director of Recruitment at kstarkey@vanguard.edu or (714) 668-6109.